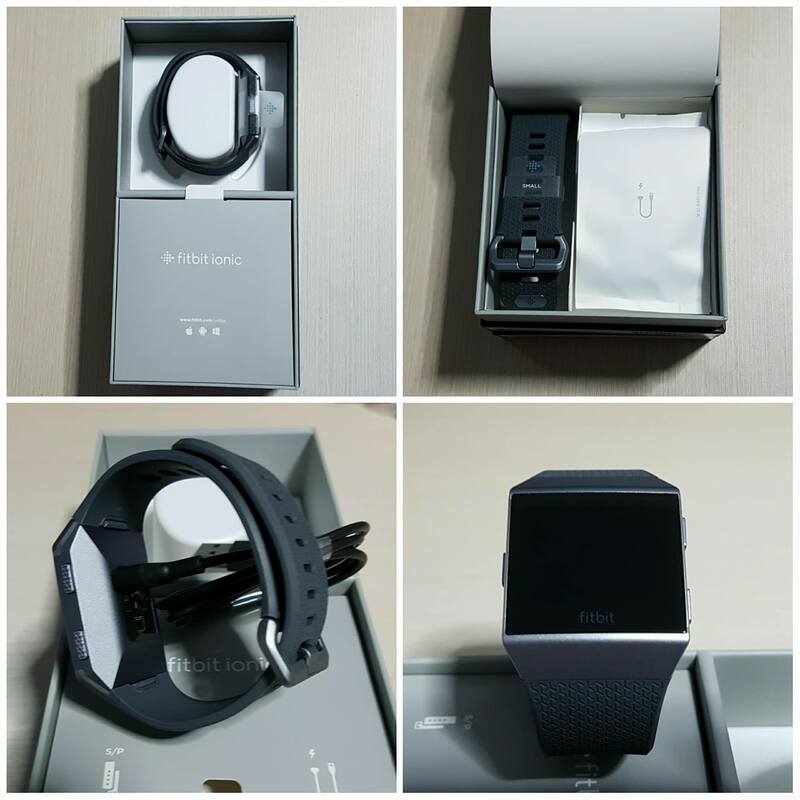 Product Review: A First Look At The Fitbit Ionic Smartwatch | JustRunLah! 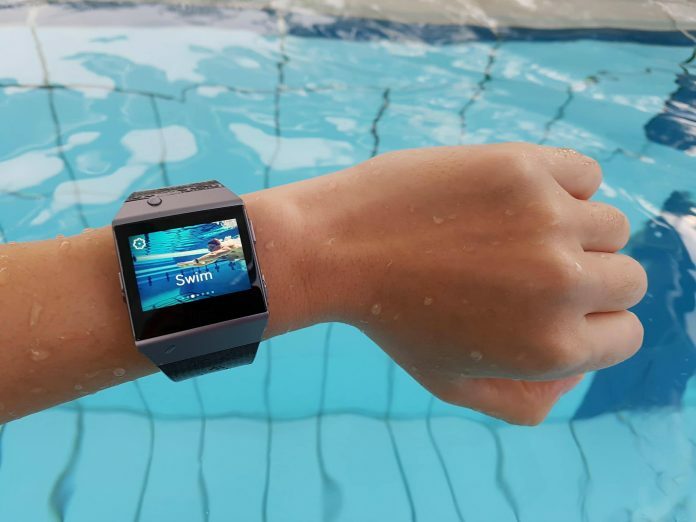 Fitbit Ionic in 'Swim mode'. 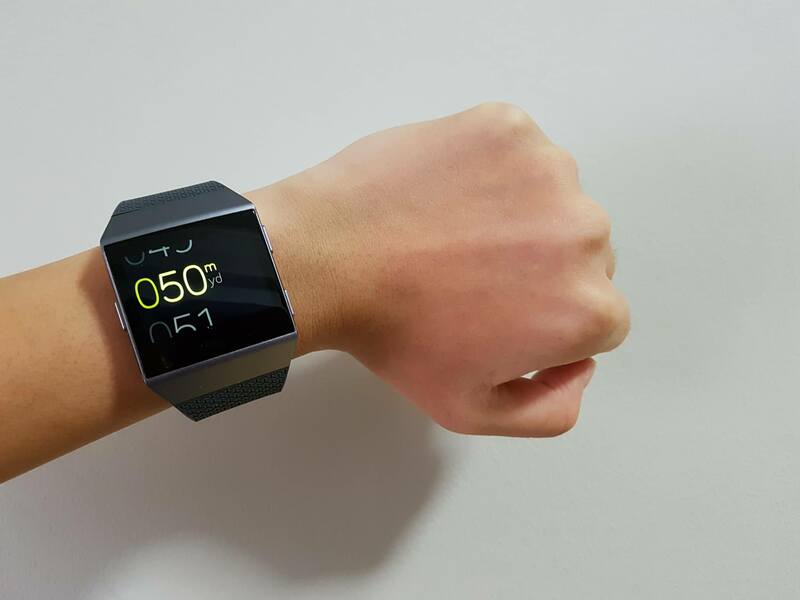 Hello readers, here’s my 1st gear review on the Fitbit Ionic smartwatch! Together with the JustRunLah! founders, we had the opportunity to attend the launch event of the Fitbit Ionic smartwatch on the 27th October 2017. I’ve since helped to produce and article titled ‘The Fitbit Ionic is Here and It’s Really Smart!’ for ‘JustRunLah’ on Fitbit Ionic. I’m really excited to try out my 1st ever GPS smartwatch! Read on to find out more about my discoveries. Before unboxing. 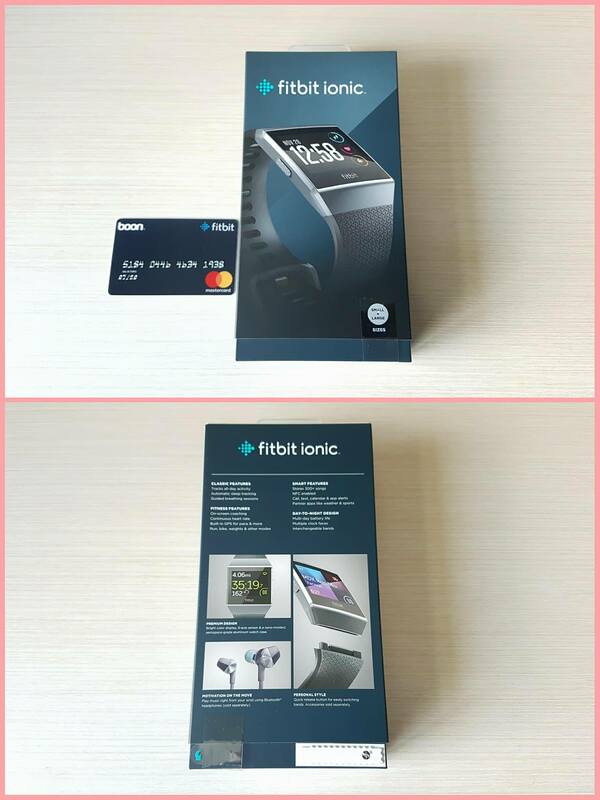 Fitbit had also given us a mock credit card for us to load 25USD worth credits to Fitbit Pay. 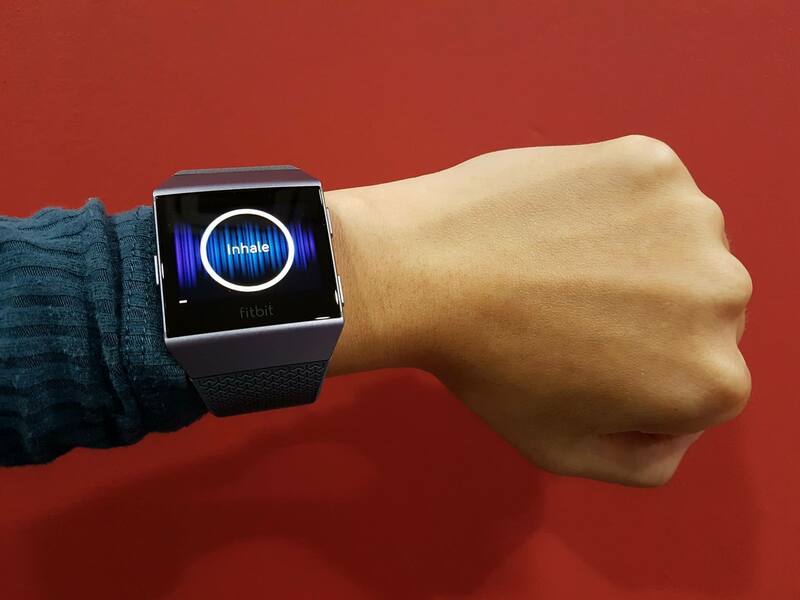 Fitbit Pay allows contactless payments with a flash of the watch. Read more here. Fitbit Ionic in Smoke Grey (charcoal coloured strap) Pretty sleek I’d say! The box came with an additional shorter strap which I’ve since changed to, to fit my wrist. Screenshots from the Sleep stages and insight feature on Fitbit app. 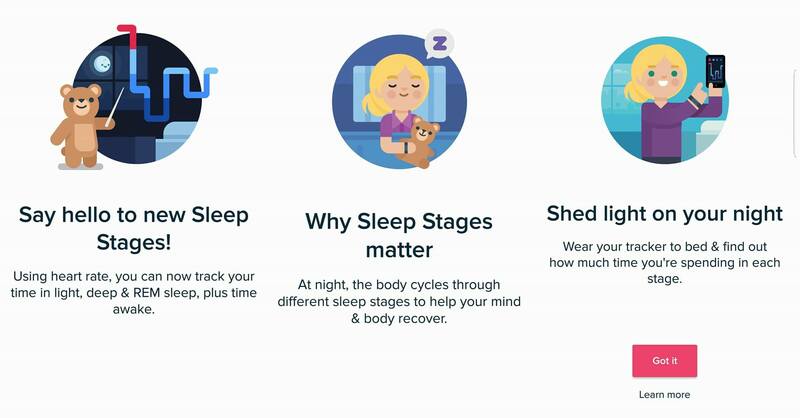 To understand what does each sleepstage means, the Fitbit app has a selection for to explain them so that you can better appreciate your statistics. You can even benchmark your sleep patterns with the same gender and group age. ‘Fitbit estimates your sleep stages using a combination of your movement and heart-rate patterns. When you haven’t moved for about an hour, your tracker or watch assumes that you’re asleep. Additional data-such as the length of time your movements are indicative of sleep behaviour (such as rolling over, etc.) help confirm that you’re asleep’. –Fitbit help page. 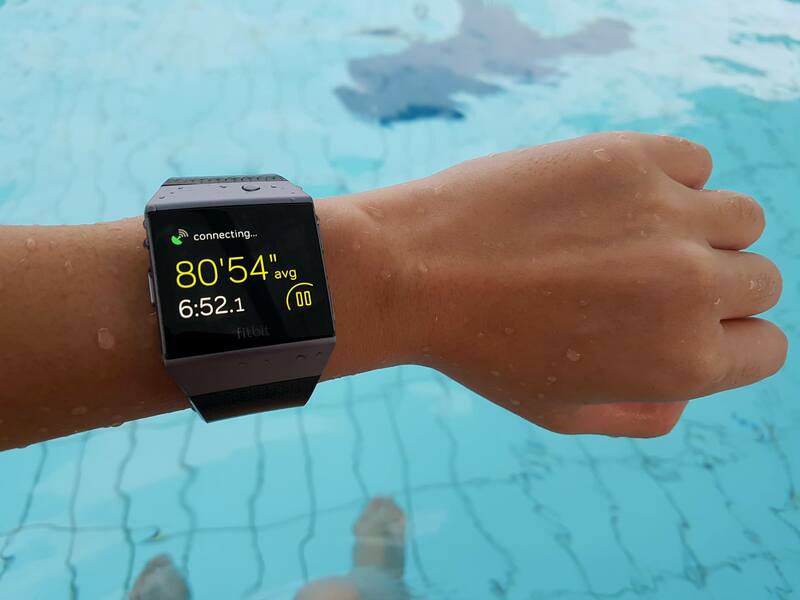 Wear your watch to sleep and Ionic can automatically detect your sleep and awake time, and all the statistics in between using the PurePulse® heart rate tracking. It’s a pretty cool feature! Easy. Just inhale and exhale with the rhythm of the circle. This ‘Relax’ feature is a set of 2 minute breathing exercises which requires you to keep still, inhale and exhale by following the circle (vibrations are also cues for you to inhale and exhale). Each session is a ‘personalized breathing pattern’ based on your ‘beat-to-beat changes in your heart rate, known as heart rate variability (HRV)‘. I really love this feature as I believe being mindful for of your breathing can relax your body and mind. I normally use it when I wake up, and before I sleep. I tried to use this feature when I was in commute on the MRT then realised it was not a good idea as as you’ll need to take deliberate deep breathing actions in a cabin full of people with minimal fresh air! Alright! The third day of using Fitbit Ionic. I’ve brought it for an evening swim. Fitbit Ionic is water resistant up to 50 meters so doing swim laps in the pool was not a problem! In good faith, I dipped my Fitbit Ionic into the water. Home Screen (Swipe right) -> Exercise (press and swipe right to left 2X) -> Swim mode. 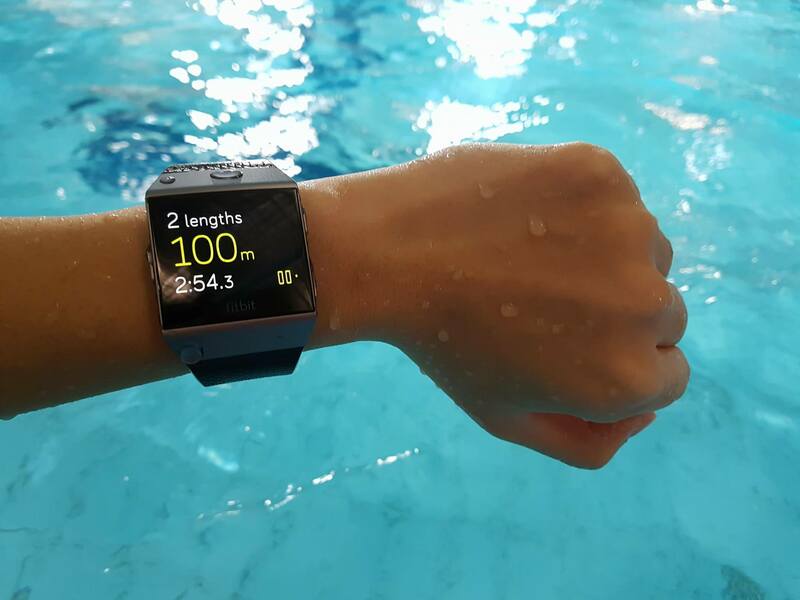 Although I remembered starting my workout in the swim mode, I only realised after my workout (20 laps in the pool without toggling the settings) that I was in run mode upon reading the summary presented on screen. Opps. Reminder: Remember to set the corresponding exercise! Before your exercise, either set the corresponding exercise, or use the auto detection of exercise mode (which I haven’t got to try yet)! 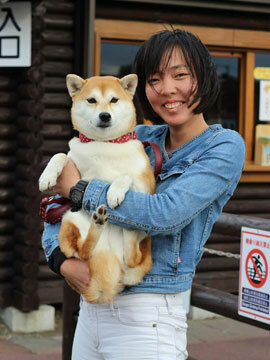 In run mode, GPS is tracked. In swim mode, GPS is not tracked. 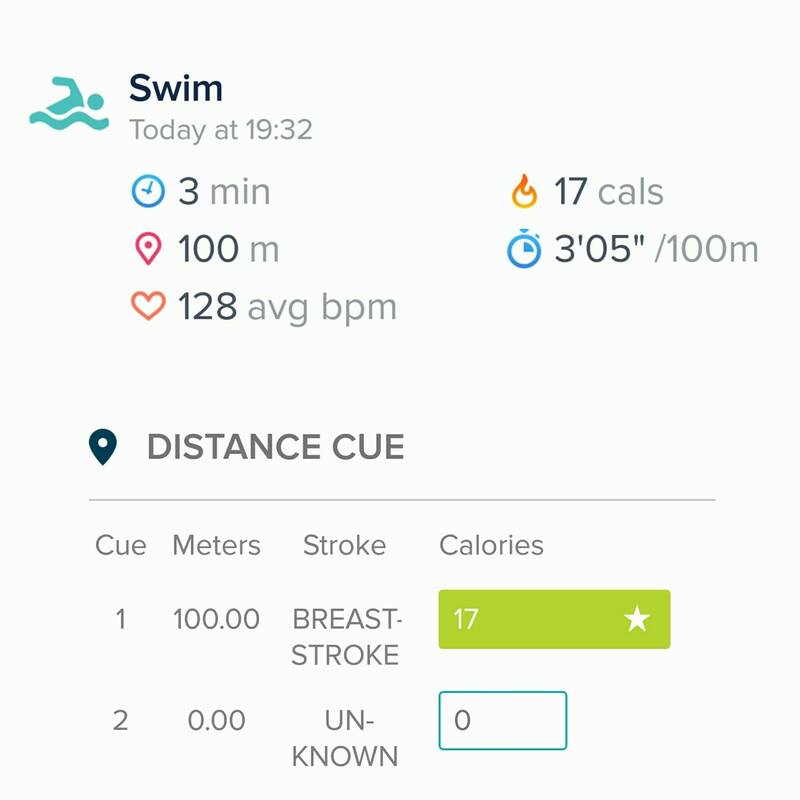 However, laps can be set (see photo below) in the swim settings and Ionic can automatically detect swim laps which is really accurate! The typical length of Singapore’s public pools is 50M. Remember to select m instead of yd! 2 lap, 100M. Really accurate. The dot on screen is an indicator for a selection, so press the corresponding button instead of pressing on the screen. Screenshot from the Fitbit app. Even the swim stroke (Breast-stroke in this case) is being captured. I’m impressed! 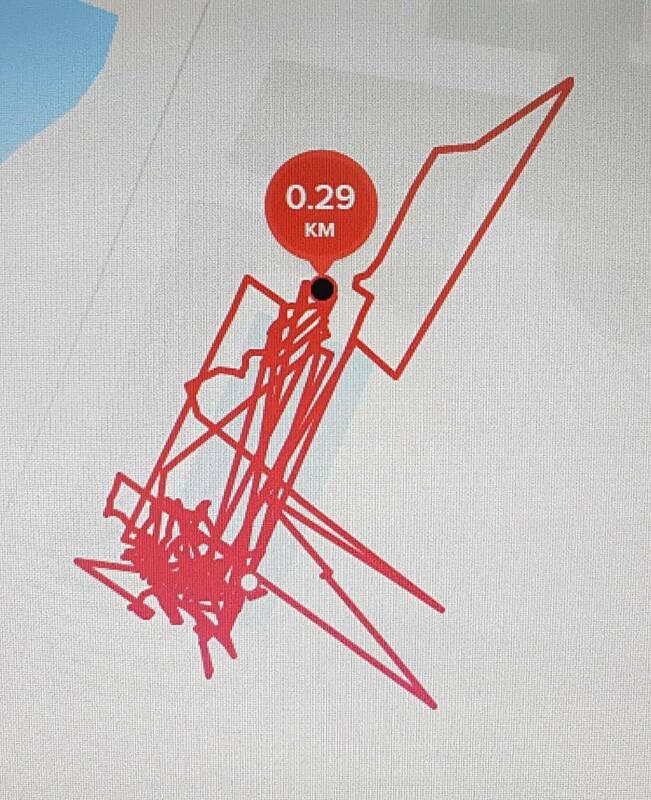 The GPS record did not show on the Fitbit app. I’ve tried to read the online forums regarding this issue. It seems like other users are experiencing this as well. Might be a bug. However, GPS results can be checked using the Fitbit website www.fitbit.com. Overall, other than the glitch I had on the GPS reading, I’m absolutely satisfied with the Fitbit app. The app is intuitive, user friendly and smooth syncing with Fitbit Ionic. 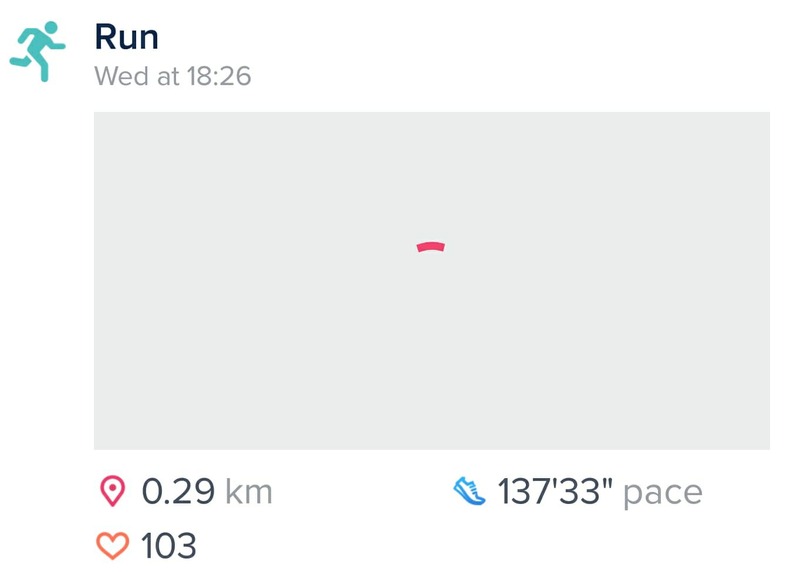 Screenshot of my GPS record in ‘Run mode’ on www.fitbit.com. You can see to-and fros, and occasional deviation from the lap as I went to the spectator stands to keep my phone. Haha. 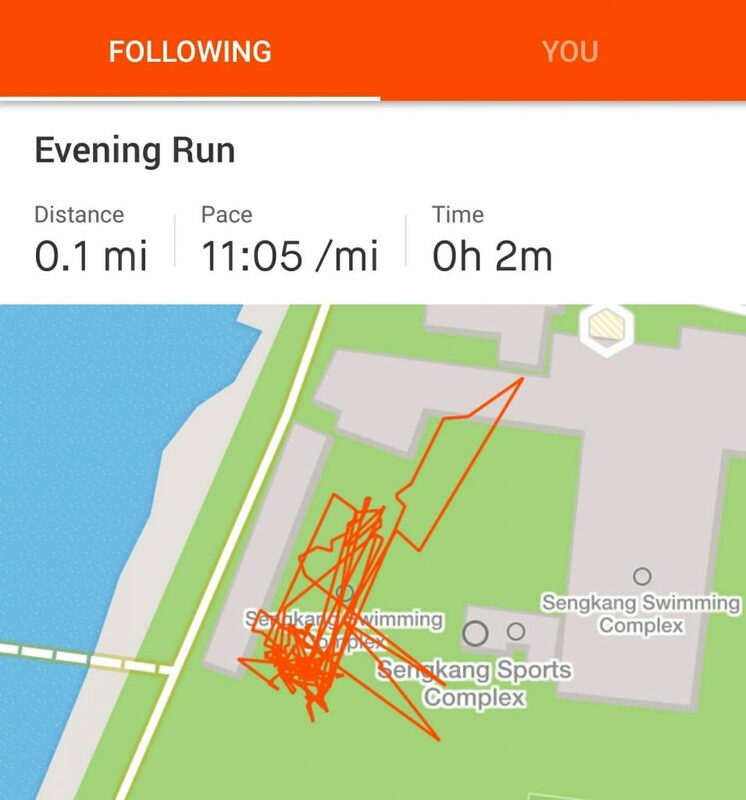 The GPS is accurate, and there were successful syncs to the Strava app of my swim in ‘Running mode’. Today is my 4th day of use, and the battery is still going strong. I can attest to it’s battery life of up to 4+ days! I’m really thankful to my company ‘JustRunLah!’ for this opportunity to be part of the team to attend launch of the Fitbit Ionic smartwatch. And also Fitbit company, who was generous to give out it’s first ever smartwatch to it’s media friends and partners. The Fitbit Ionic is priced at $458 and it’s out in stores now. I hope you enjoy this review and that you’d consider Fitbit Ionic as your next fitness Smartwatch. Other than the glitch on the GPS record which I experienced on the Fitbit app, this watch is perfect! I like it's minimalist sleek design (a little to the masculine side though), user-friendliness and it's features. I like that the watch comes with just the essential (not too many as it can be a distraction) apps pre-installed. I love this watch and I hope to enjoy it as much as time goes by!